The fourth season of drama series MTV Shuga held its auditions last week at Classique Events Centre Oregun in Ikeja. 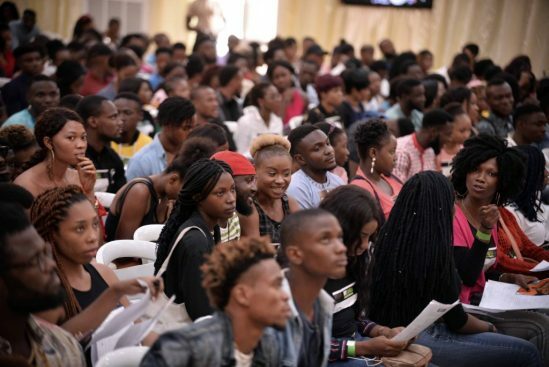 The venue was filled with thousands of people as contestants travelled from all over Nigeria to be part of the auditions. The judges were Nigerian television and film director Tope Oshin; head writer for MTV Shuga Nigeria, Kemi Adesoye; Nigerian TV producer and filmmaker Tolulope Ajayi; and senior producer at the MTV Staying Alive Foundation, Wyn Baptiste. MTV Shuga stars such as Timini Egbuson, Jemima Osunde, Bukola Oladipupo, as well as MTV’s video jockeys Ehiz, Sammy Walsh and Nenny B were at the venue to show support for these upcoming stars. The series originally premiered in Nigeria in 2013 and the new season will start airing in September 2019. MTV Shuga Naija is a multi-sectoral partnership involving the MTV Staying Alive Foundation and is supported by MTV Base Africa, the Bill & Melinda Gates Foundation, and the United Nations Population Fund (UNFPA).